Go green and sew your own grocery bag! These grocery bag patterns are unique and easy to make. There is no reason to buy bag after bag when you can use a grocery bag pattern to make your very own bags. Plus, if you make your very own grocery bag pattern, they will be extra sturdy. All of the easy bag patterns and tutorials in this collection, To the Market: 14+ Free Reusable Grocery Bag Patterns, will help you make fabulous totes to take to the market or grocery store. Whether you are browsing the aisles of your local supermarket or the stalls at the farmers market, you will find the perfect grocery bag pattern for any experience. Sustainable and reusable grocery bags are more popular than plastic and paper bags these days. Everyone seems to be using recyclable grocery bags to cart their treats home from the grocery store. Unlike those pesky plastic bags you receive at the store, however, you have to buy your reusable bags. Why not be extra-crafty (and sustainable) by using our easy bag patterns to create your own DIY reusable grocery bags? New to sewing? Then be sure to check out our tutorial on how to sew a grocery bag! It's a brand new video from blogger Carolina Moore. Check it out right below or here. These free bag patterns are fabulous for taking to the store. Sturdy, roomy, cute, and easy, every single one of these grocery bag pattern projects makes a great tote for the market. Like this amazing Rescued Threads Tote. It has a different design on each side and lots of space - all using scraps. You'll fall in love with at least one reusable grocery bag pattern in this list. We even added a bonus for more options. Use this free bag pattern to make an incredibly simple, strong bag that's cute enough to wear out on the town but durable enough for groceries. Gone are the days of throwing out plastic bags after every grocery visit. This reusable grocery bag pattern helps you go green! This stunning and surprisingly simple free sewing pattern allows you to create a paneled tote that's perfect for showing off grand prints. The Urban Traveler Tote Bag Pattern is big enough to be a gym bag, a carry-on, a market bag, and a carry-all. The local farmers market is such a fun place to go to find groceries. Everything is so fresh and yummy! Don't forget to use one of our DIY reusable bag patterns to store your goodies in. We think you'll find your idea market bag pattern here. Maybe it's this Farmers Market Grocery Tote collection shown here in all sorts of different patterns and prints. There are many more options down below, too. You won't have to compromise on excessive paper or plastic bags in your home after your trip to the store with this awesome bag design. Join the reusable grocery bag craze by sewing this fab tote pattern. This simple bag pattern is well worth the little time you need to make it. This cloth grocery bag is handy and durable enough to become your go-to bag for your daily errands, but it's fashionable for casual use as well. Fruits and veggies need a special bag. Easily bruised and beat up, produce needs to be stored in a bag sewing pattern that will keep it safe. Lucky for you, we have these fantastic ideas! Make a DIY woven market bag like this Quick Fix Grocery Bag shown here. Or choose one of the other bags below that will hold your produce without adding extra weight or damaging the precious cargo. If you are looking to avoid the plastic, store-provided bags for your apples, oranges, limes, and lettuce, sew up a handful of these DIY Grocery Bags for Produce. Learn how to make a tote bag in just five easy steps when you explore this grocery bag pattern idea. Your produce will thank you when they arrive home bruise-free. BONUS! Follow this burlap tote bag tutorial and you'll have new bags to carry small amounts of produce. Only need a few things? This design is perfect! Last but not least; the upcycled grocery bag patterns! Go the extra mile when it comes to saving the earth by using a grocery bag pattern that uses up scraps or old tees! These Green Earth Grocery Bags are awesome because they are thrifty and there are several different words you can use to indicate what the bag should be used for, be it "greens" or "ice cream." Check out all of the thrifty options. Sewing grocery totes can be both cheap, useful, and beneficial to the environment, so it's win-win. These instructions on how to make a shoulder bag out of a thrifted t-shirt can lead to zero wasted space on paper and plastic bags all over your home. Store your fresh fruits and veggies in this DIY tote, made from old t-shirts. What a great grocery bag sewing pattern idea! Take an ordinary reusable grocery bag and transform it into a conversation starter. Follow this simple tutorial and you'll love the results, especially if you like a little excitement! When headed to the farmers market this weekend, don’t forget this Sturdy Reusable DIY Bag. This reusable grocery bag has a sturdy flat bottom to help! 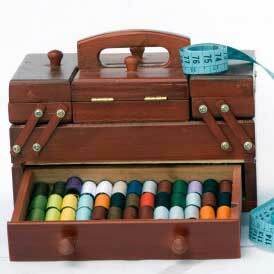 What are your favorite eco-friendly sewing projects? Let us know below in the comments! This lovely little ebook is full of good looking bags and I challenge any bag lover (like me!) to go through it and not find something that they simply HAVE to have! I have actually found several that I would like to have and have added them to my ever growing TO DO list. Great article! I have actually made my own grocery bag, around here it is not easy to get one on these, especially when I go to the market I was always offered a polyethylene bag till when I had to make my own grocery bag. I do hope this catches on with everyone because that protects the environment and it is very convenient. Thank You!! !